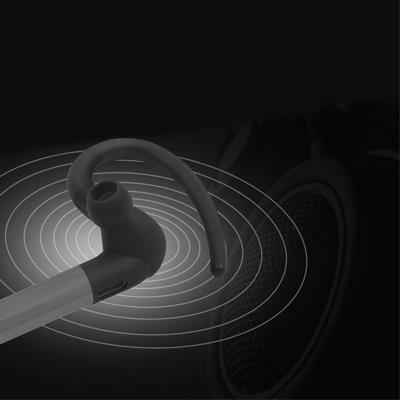 This Earphone is designed according to ergonomics, which means it can be easily wearable all day without any hurt or pain causing to the ear. It's extremely Lightweight, Crafted with refined aluminum alloy Anodizing shell, and can’t even feel it’s on your ear. 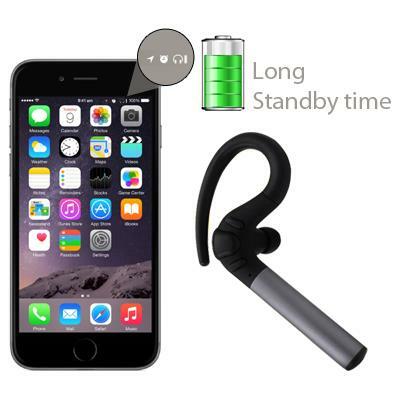 The lightweight E315 Bluetooth headset fits comfortably and is easy to set up, connecting to two smartphones so you can answer calls from either one. 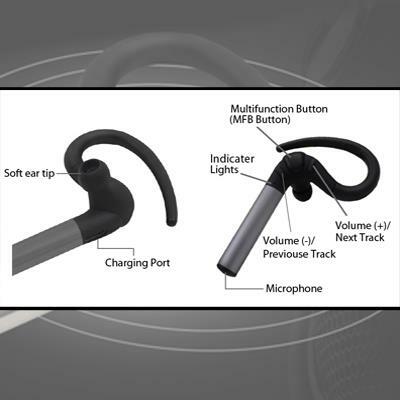 This earpiece is made to provide perfect fit, designed for right ear only, the ear loop swivels and rotates for a stable fit. 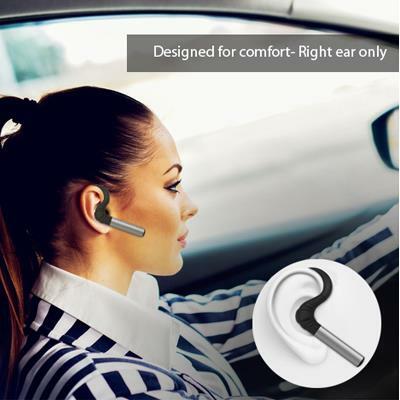 The intuitive design of this bluetooth headset makes it easy to control the volume, start and stop the music, answer calls and GPS directions without holding your phone or getting tangled in wired earbuds while driving. Noise reduction technology provides high-quality stereo audio experience no matter whether listening to music or making a phone call, the effect of sound is perfect. LifeCHARGE E315 Built-in high performance rechargeable Lithium-poly 150mAh battery, High capacity battery provides up to 15 hours call time and 12-15hr music playtime at 40-50% volume (adequate for home/office with little noise interference),full charge in around 1-2 hours and up to 260 hours standby time. The intuitive design of this Bluetooth headset makes it easy to control the volume, start and stop the music, answer calls and move between songs.